Urgent: Chinese woman's life in peril should the Netherland's repatriate! UPDATE: How you can help save Chen Yan! Earlier today, ChinaAid sent a message regarding Chen Yan, a persecuted Chinese petitioner who sought asylum in the Netherlands. Now, the Dutch government is holding her in an immigration detention center, and she is on track to be returned to China. If she goes back, her life will be gravely endangered, and she might even die. Click here to contact the Netherlands' Ministry of Justice and Security and urge them not to send her back to China! If she returns to China, she could lose her life! 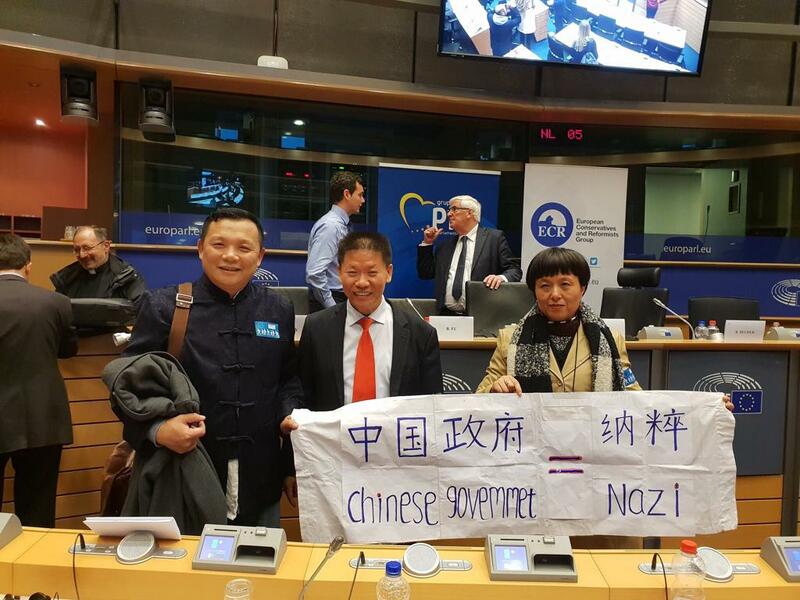 (Amsterdam—April 12, 2019) A Chinese petitioner is on track to be repatriated by the Netherlands back to China, where she will likely face severe persecution and may even lose her life. Chen Yan sought asylum in the Netherlands after she faced persecution for petitioning the Chinese Communist Party. Now, shortly after she protested during Chinese Premier Li Keqiang’s visit to Brussels (see a Radio Free Asia video here), the Netherlands is holding her in immigration custody and planning to send her back to China. If this happens, her life will be in great peril. Therefore, ChinaAid is calling on the Dutch government to not return Chen to China and urging all of its supporters to stand up and tell the Netherlands not to risk the life of an innocent woman. Please click the "Give Today" button below to help people who are persecuted in China, like Chen Yan. Photo: Chen Yan (right) with ChinaAid President Bob Fu.